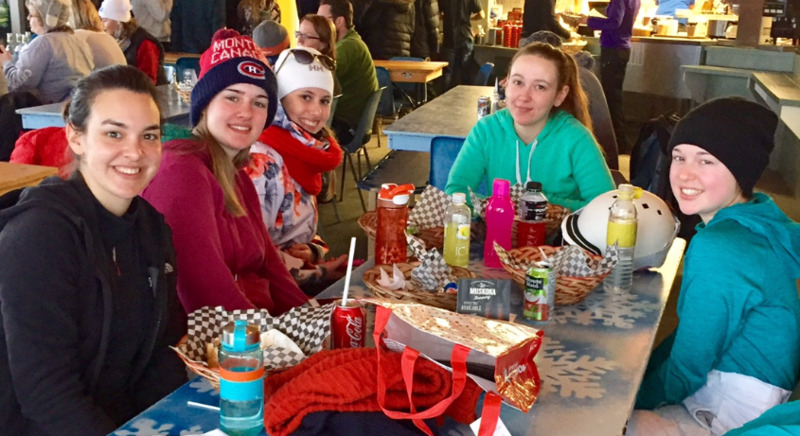 This past weekend many of our international students, staff, alumni and guests enjoyed a great afternoon at Laurentian Ski Hill on Saturday Feb. 11th. The weather was perfect and Laurentian was ready for the many first time skiers from Canadore with trained instructors to guide them down the hill. Load Slingers vs the Puck Hogs at 10:30pm.